G-CAS! Sew Excited! : July Ramblings!! I was here on the Internet reading blogs and checking email and decided to post @ 12:50 AM. My brother and his wife brought pizza over for dinner. A thanks for picking up their boys from day camp. I mentioned it was nice to have them over for dinner. (But, I didn't supply the dinner.) I gotta work on that! I'm attending a job fair in the morning. I don't have an appropriate blazer to wear. I have one "cut out" but I'm blogging now. I am dying to make a polka dot dress! I have a suit "cut out" for job interviews and job fairs. It's sitting in my sewing room waiting for a turn. I really want a polka dot dress. I killed a spider on my own today. If you know me, you know that's BIG! My son still likes to hold my hand in public and he still kisses me on the cheek. (he's 12) I know, I know, I know!! That's why I'm posting! 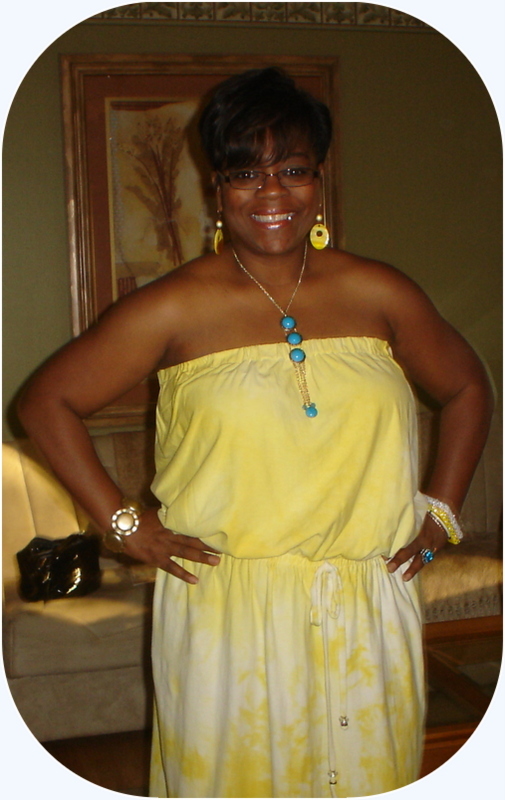 Here I am in my Mimi G. Maxi Dress Tutorial outfit! Great Tut! I wear these a lot! I need another one. Did I mention I want a lace dress too! Funny post! 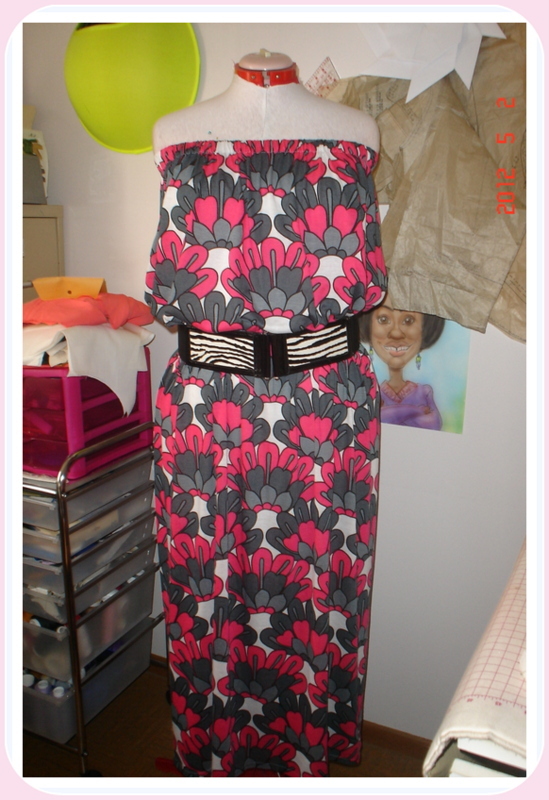 Love your Mimi G maxi's, especially the bold print of the second one! I too need a blazer or two and need into the Fall sewing mode....its hard with this weather. Take care. I enjoyed your blog and am looking forward to your future posts. Your maxi dresses are enticingly stunning! You look tres chic! Wow! Well thank you! I'm looking forward to posting more and you reading more! Welcome new grasshoppa! Yay!!! Thanks for visiting and leaving a comment! I love to sew. I make my own clothes and love to share my creative journey with who ever will listen. Visit me regularly and you can see! Fall Vogue Patterns R Here! One Arm Madness & Vogue Summer Picks!